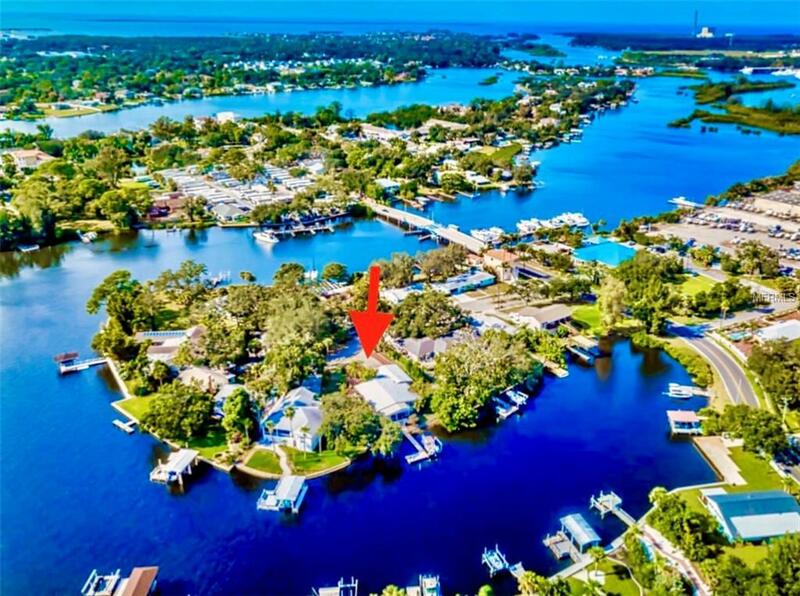 Price Reduced~Gulf access under 500k! Dock & 10,000 lb Boat Lift minutes to the Gulf. It's the perfect waterfront lifestyle for a price that won't take your breath away~ Move right into this beautifully updated (easily convert to 3 BR) 2BR/OFFICE/2BA/2CAR Garage. 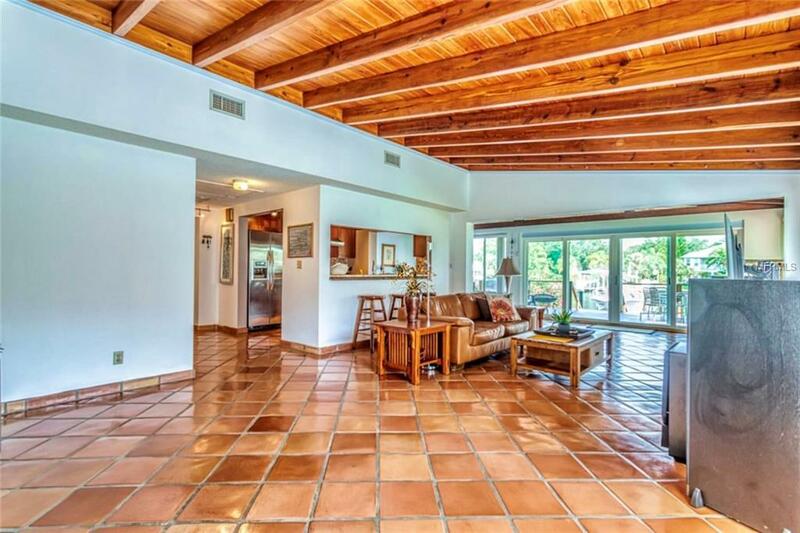 The home incorporates many of Frank Lloyd Wright's visionary architectural features; open floor plan, high ceilings, wood ceilings and beams, extensive glass, natural light & large overhanging eaves. Your modern granite kitchen is the center for all gatherings with wide water views that will inspire the chef, Stainless Steel appliances, wood cabinets, glass tile backsplash, ample storage & counter space. View amazing crimson skies from your waterfront dining area or step thru glass doors & dine alfresco on your private covered porch. 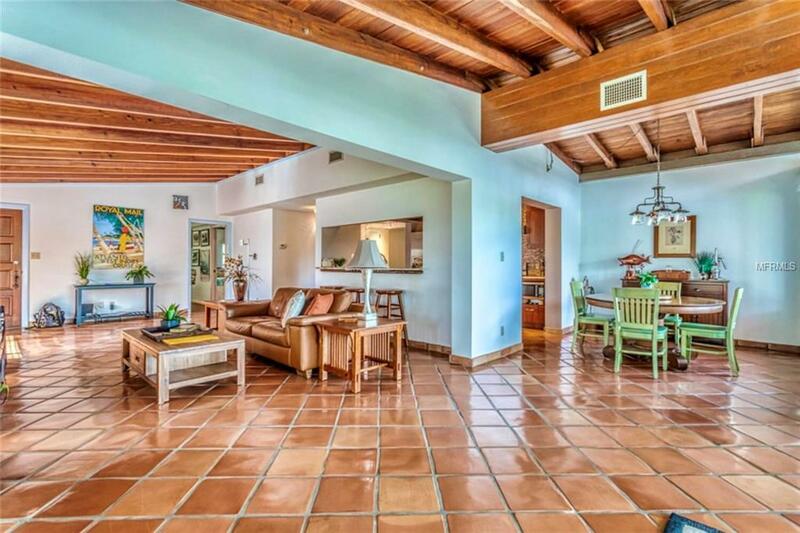 Spacious great room, bonus office room, large M-suite with wide water view & private sitting area. Updated master bath with granite, walk-in shower, contemporary fixtures & loads of storage. Your outdoor waterfront oasis features 11x20 covered patio, perfect for entertaining. Fish from your dock or sail away in your boat to nearby islands: Anclote, Caladesi & 3 Rooker. Bike or walk to Fred Howard Beach & the famous Tarpon Springs Sponge Docks w/fabulous restaurants & unique shops. Commerce centers of St Pete & Tampa Intl' Airport are nearby. 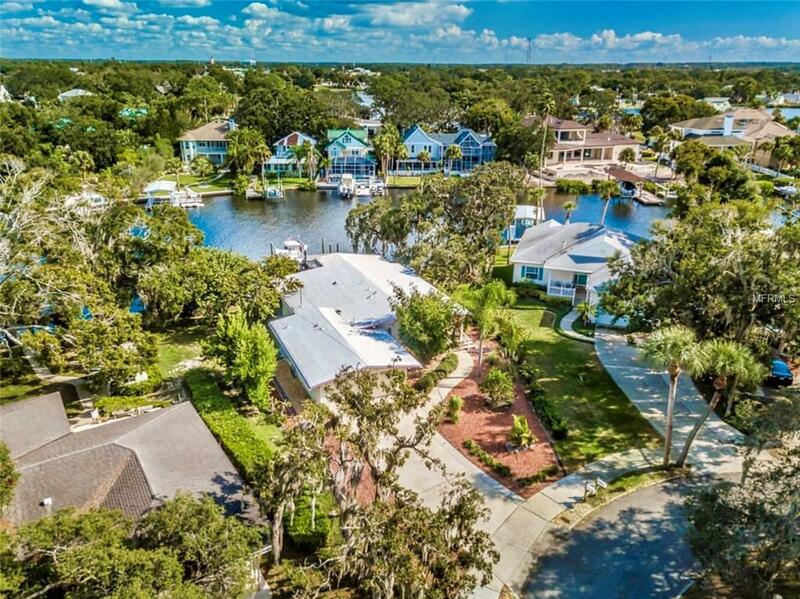 Come Home to Paradise - It's the complete waterfront lifestyle! Listing provided courtesy of Garrigan & Assoc Realty Inc.